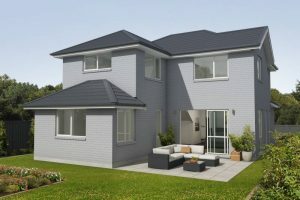 Another clever design from Ashcroft Homes that maximises living spaces while maintaining a minimal footprint. 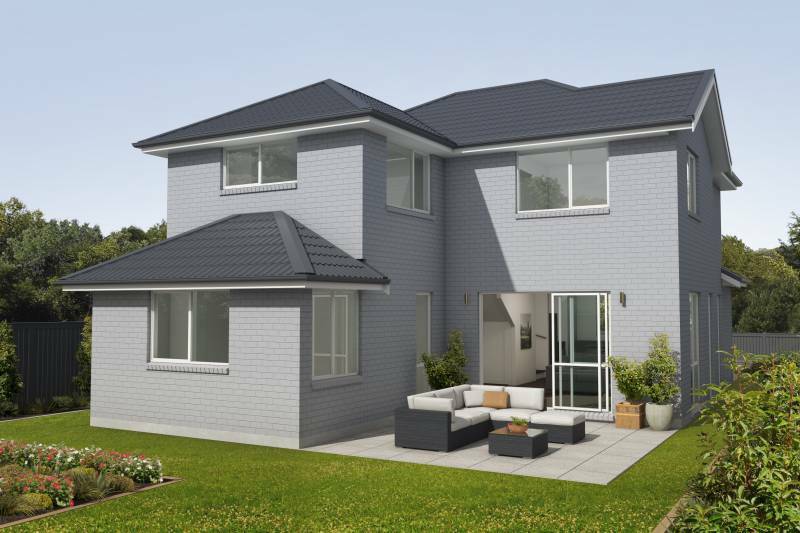 This five bedroom, three bathroom home is set over two levels with great indoor outdoor flow to the garden area. 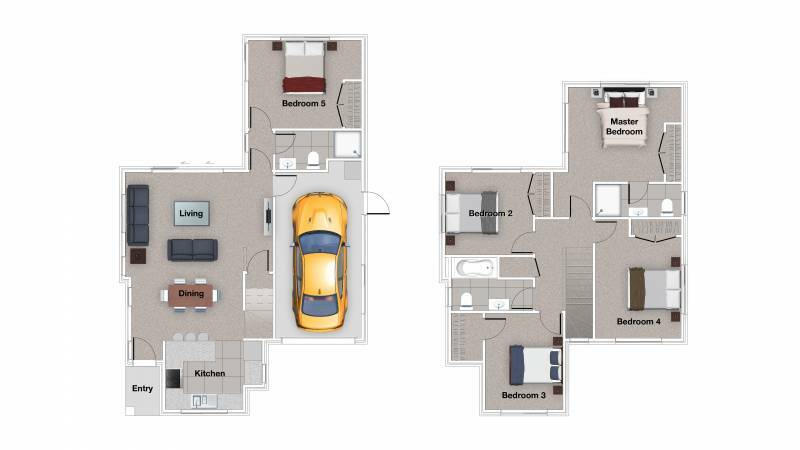 The Belford has a single garage with convenient internal access. The design provides lots of options with the fifth bedroom being ideal for use as a home office, or a second lounge. 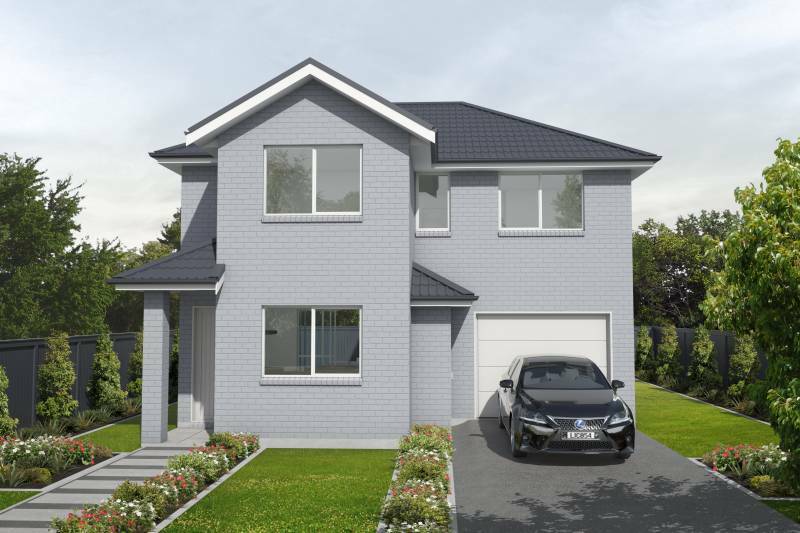 The Belford can be built as a single freestanding home or a duplex development. Perfect solution for investors, landlords or growing families. 5th bedroom (or office) downstairs. Guest bathroom downstairs, bath in family bathroom upstairs.